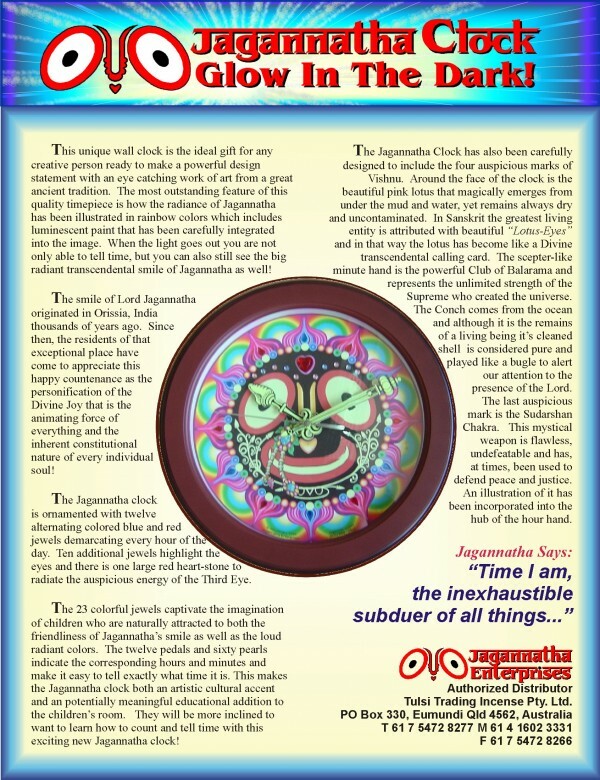 This beautiful Jagannatha Clock glows in the dark! "Time I am," says Lord Krishna in the Bhagavad Gita. 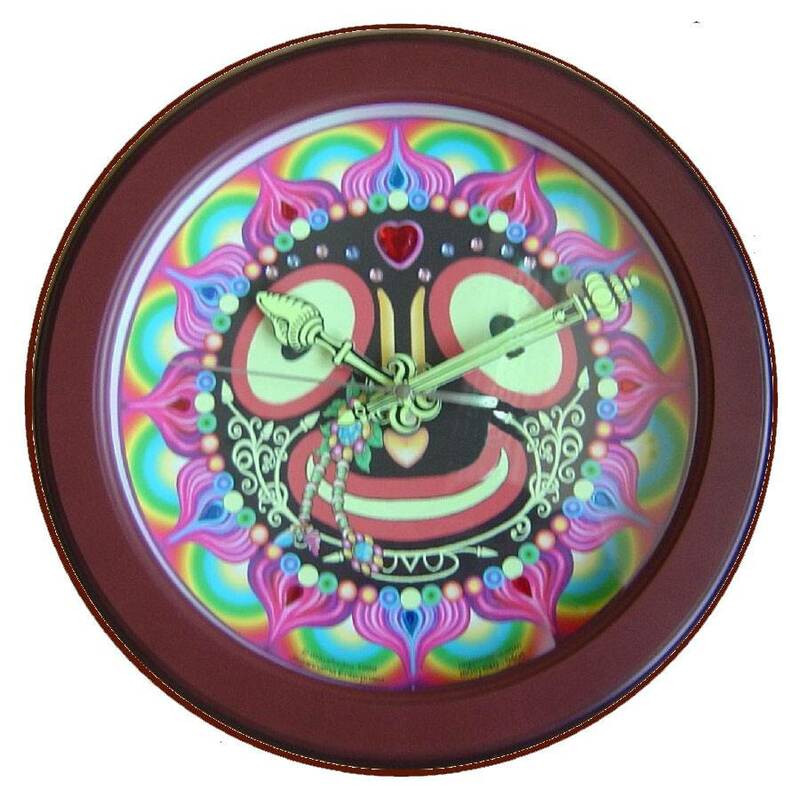 Lord Jagannatha's colorful smiling face on this clock can help remind you of Krishna and keep cheerful throughout the day.